Sidney Crosby is a Canadian professional ice hockey player who plays as well as serves as captain of the Pittsburgh Penguins of the National Hockey League (NHL). He was one of the most highly regarded drafts picks in hockey history. He is Nicknamed "Sid the Kid" and "The Next One". The 31 years aged professional is currently receiving an annual salary of $10 million and as of 2019, he has an estimated net worth of $55 million. He is currently dating his girlfriend Kathy Leutner. The 31 years old Canadian hockey player had an estimated net worth of $55 million in 2019. However, he has an estimated net worth of $45 million in 2018 and $30 million in 2014. He is currently receiving an annual salary of $10 million in 2018 from his club. Crosby is currently signed to Penguins under a 12 year / $104,400,000 worth contract since 2013 with an average salary of $8,700,000. He will earn $9,000,000 for the 2019 season. He was one of the highest earning NHL players in 2016-17 making around $16.5 million in a year and has so far made the career earnings of about $109,290,244. Apart from his earnings from his professional career, he too has endorsement deals several brands linked with him. He is connected with companies like Reebok, Bell, Tim Hortons, Addidas, and Gatorade. Crosby makes around $5 million a year from his endorsement deals. He is also the highest earning NHL player from the endorsements. As for living, he has bought a house Grand Lake in Halifax, Nova Scotia in 2016, worth $4 million. 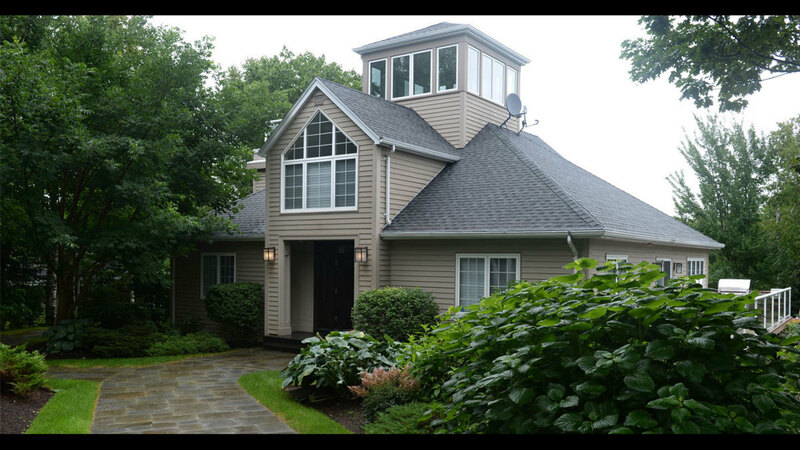 Besides, he also has a house Edgeworth, PA bought for $800,000 in 2011. He mostly prefers Range Rover for driving and also owns several other including Ferrari, Jaguar etc. Sidney Crosby was born as Sidney Patrick Crosby on 7 August 1987, to Canadain parents, Troy Crosby and Trina-Forbes Crosby. He was born and raised in Halifax, Nova Scotia, Canada, along with his sister Taylor Crosby. He attended Astral Drive Junior High School and later moved to Shattuck-Saint Mary's in Faribault, Minnesota, to play with the school's hockey team. He graduated from Harrison Trimble High School. Talking about his nationality, he is a Canadian and belongs to Caucasian ethnicity. Entering the 2005 NHL Entry Draft, Sidney Crosby was selected first overall in the draft by the Pittsburgh Penguins on 30 July 2005. He made his NHL debut on 5 October 2005, against the New Jersey Devils, and registered an assist on the team's first goal of the season, scored by Mark Recchi. His first goal for the club came on 8 October 2005, in Penguins' home opener against goaltender Hannu Toivonen of the Boston Bruins. Crosby became the youngest player in NHL history to score 100 points in a single season. He finished the season is sixth in the NHL scoring race and seventh in the NHL in assists. Crosby scored his first NHL hat trick on 28 October 2006, in an 8–2 victory over the Philadelphia Flyers. He has won several titles like Stanley Cup champion, Conn Smythe Trophy, Conn Smythe Trophy, and several others. Crosby still plays for the Penguins alongside Derick Brassard, Jake Guentzel, Phil Kessel, and Matt Murray. 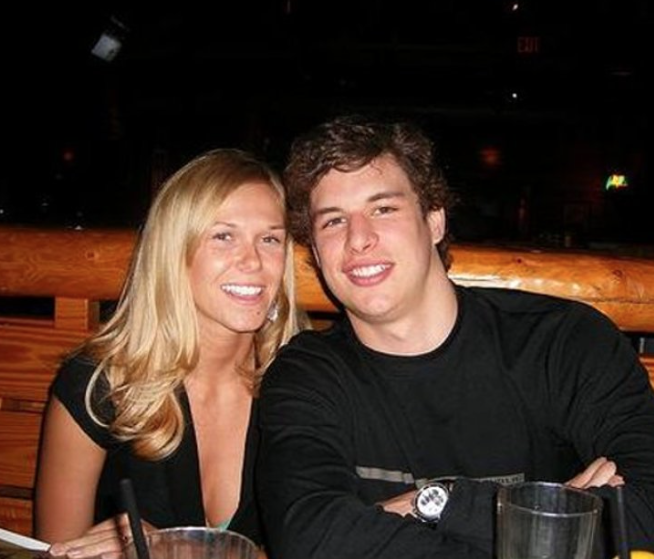 NHL star, Sidney Crosby is neither married nor single. Currently, the hunk is involved in a romantic relationship with his long-time girlfriend, Kathy Leutner, a bridal/catalog model. Kathy, born as Kathryn A. Leutner in 1986, is one of two daughters born to John and Judith Leutner of Hernon, Virginia. Furthermore, she graduated from Chantilly High School in 2004. The following year, she was discovered while at the mall with her beautiful mother. Modeling wasn’t however in Kathy’s plans, after all, she could have been a tremendous lacrosse player. Going deep into Crosby and Leutner relationship: the couple starting dating since 2008. They met through mutual friends and their relationship hit off really well. As of 2018, the duo has been in a relationship for nearly decade, with a break around 2010-2011 but now their love affair is stronger than ever. As Sidney's socials lack the picture of the elegant couple together, so many assumed that the pair had parted ways. Nevertheless, the two is now reported to be together, although they have kept the relationship details low key. Moreover, his lady, Kathy is often spotted attending Sidney’s matches and spent a lot of time with Crosby’s family too. The couple lives together in his grand mansion on Grand Lake in Halifax, Nova Scotia. They are soon going to get married in days to come.